Most language learning assessment tools are rooted in paper and pencil. 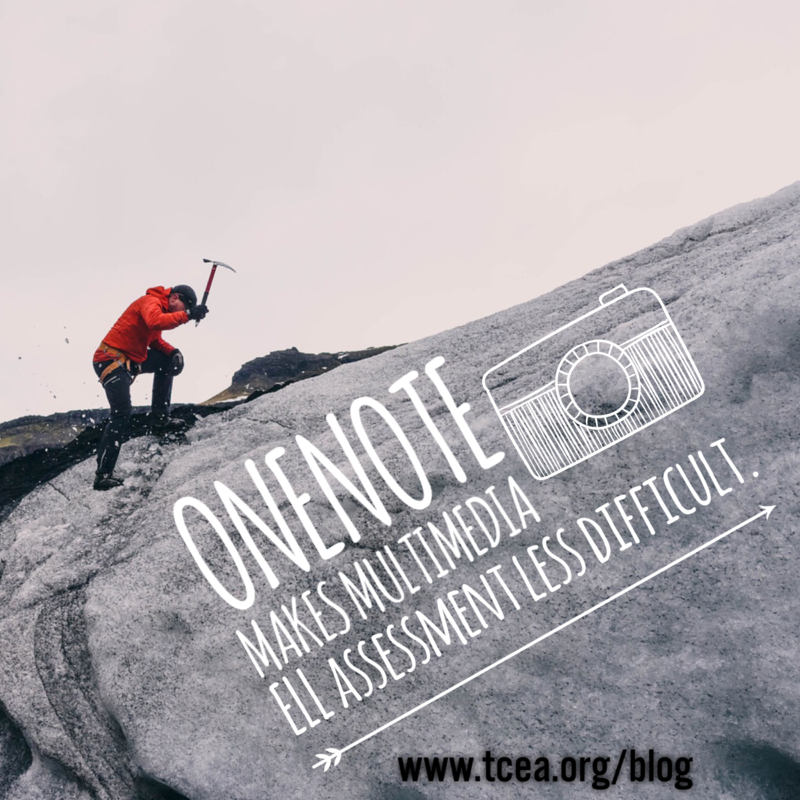 As Surface tablets, iPads, and Chromebooks find their way into teachers’ hands, new technologies can move us one step closer to multimedia assessment techniques. For example, in the area of assessment, the use of Microsoft OneNote can be helpful for recording observational notes. In this article, let’s consider how OneNote can enhance a type of assessment known as anecdotal records. Decide on a system for collecting assessment. Conference with students to set growing goals. Use records for planning hands-on, cooperative learning. A campus team, such as a department or grade level group, can take advantage of OneNote to facilitate observational notes and collection of student work. Growing goals can be set in collaboration with students, and the digital version can be updated. Anecdotal records are a form of authentic assessment. These observational notes allow the teacher to record authentic experiences, unintended outcomes of literacy development, levels of engagement, curiosity, motivational factors, and more. For teachers, these records facilitate assessment conversations between educators and others. Observing children in instructional settings: In this suggestion, Paul points out that students may be observed in small groups of 2-4. One of the concerns is that the teacher may forget the observations. He suggests observing different students throughout the week to build an observational record. Furthermore, using the Office Lens app, the teacher can capture student work, photos, and images and place them directly in the anecdotal record notebook. OneNote Connection: Teachers can create a page in OneNote for each student, adding video/audio recordings of the student, while quickly switch back-and-forth to make notes about specific students. Maintaining a standards-based focus: Maintaining a focus on a particular standard or set of standards enables the teacher to better keep track of what he/she is observing. Paul cites specific verbs that the teacher can use. For example, in writing, verbs would include: write, print legibly, summarize, describe, and others. OneNote Connection: Teachers can keep a list of standards they copy-and-paste into OneNote as needed. These become checkboxes participants could use to quickly check off standards observed. Making and managing of anecdotal records: Paul suggests that a single-page form can facilitate managing records (see example in OneNote). OneNote Connection: Create an anecdotal record form as a OneNote page, then set it as a page template that you can insert when taking notes. Here’s a blank form, as well as a sample that you can review (get the PDF version of both). As you can see, having the form in digital format makes it easy to include audio/video annotations as well as traditional text. Assessment in the language learning classroom can be aided through the real-time recording of student work towards academic outcomes. OneNote facilitates this process for teachers, enabling them to record their own observations in digital format and quickly embed media (e.g. audio, video, images) that enhance those recorded notes.